Good energy is with us for cooperating with others to get things done, productivity, and activities that promote healing, build our confidence, and nurture ourselves and others. Actions that show our support and care are favored now. 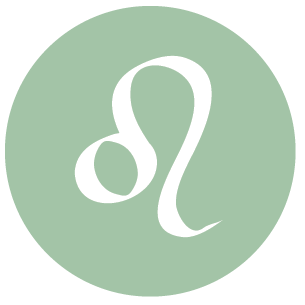 The Moon is in Leo all day (until Monday, May 25th, at 4:51 AM). 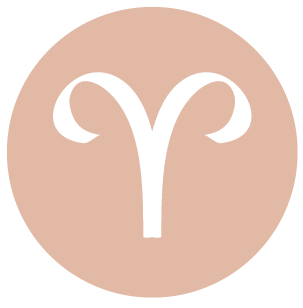 There can be a good sense of moving forward today, Aries. You have more confidence in projects as well as relationships. You may be working in a team or contributing to a group effort quite successfully now. Family activities can be particularly satisfying, but you’re also feeling quite determined in general, and the support of the people you care about goes a long way towards your confidence with your outside responsibilities or in your career. Creative pursuits are favored now, particularly as you feel more confident than usual to express yourself with few inhibitions. There may be a significant communication from a friend or lover. 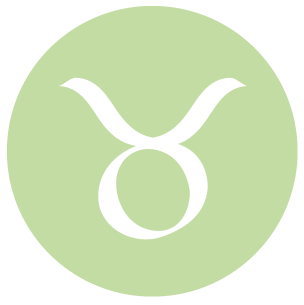 This can be a powerful day for problem solving along practical lines, Taurus. You are quite determined and ambitious today, and might unravel a financial or work problem quite creatively. You are ready to take on a challenge. You might jump to the defense or aid of someone you care about. There may be an agreement with someone about your money situation or financial goals. Today is also good for gaining the approval or support of an elder, boss, or parent, and your personal appeal is strong on a personal level as well. 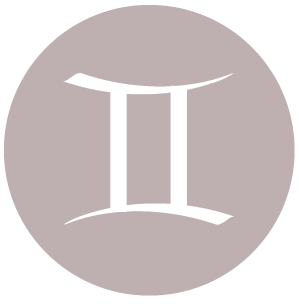 Today is strong for working with others towards a common goal, dear Gemini, and for stimulating intellectual connections. Others tend to help build your confidence through their support, and you are ready to take on virtually any challenge or problem, particularly if you can help others on practical levels. People tend to turn to you for advice or for your company. It is also a good time for creative projects and hobbies. Whatever you do today, you do it with creative flair and a personal touch. This is a good day for strengthening ties with family and loved ones, Cancer, but also for reconnecting with your inner self. You might decide to take action on a private matter. Family activities are favored today. In fact, you can really get things done if you decide on a common goal and work towards it together. You can feel a nice sense of abundance today, and quite content to spend some time with yourself as well as with others. There can be a nice balance of give and take and clear boundaries. This can be a great day for strengthening ties with friends and groups, Leo, and for working cooperatively towards common goals. It is also a good time for contributing, leading, guiding, and facilitating others. You are invigorated by what you are learning and sharing today. Connections can be made that are truly supportive and mutually beneficial, and with people who are as confident about taking on challenges as you are. Friends or associates can inspire a desire to improve your game, and you are filled with enterprising spirit today. 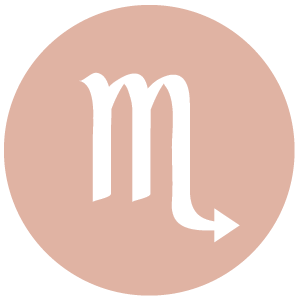 You can be feeling pleasantly ambitious today, Virgo. 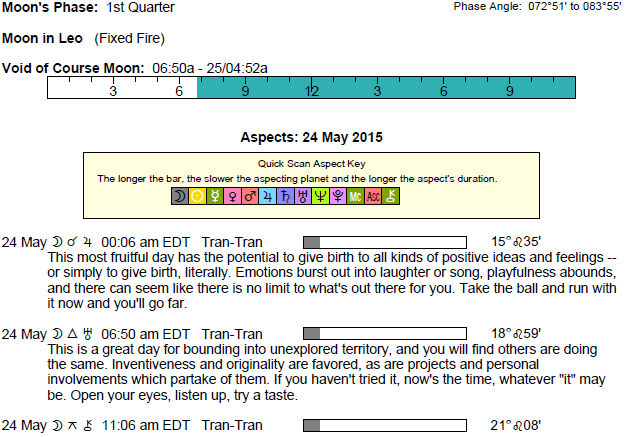 It’s a good day for attention to practical matters as well as for organizing and solving problems. It’s natural for you to solve one challenge and then move on to the next. There is a sense that there is always room for improvement, but this is not a restless, perfectionist energy; rather, it feels good to achieve at your own pace right now. Take advantage of your take-charge attitude today by tackling a project that’s especially important to you. People around you either help or step out of the way and let you do your thing. 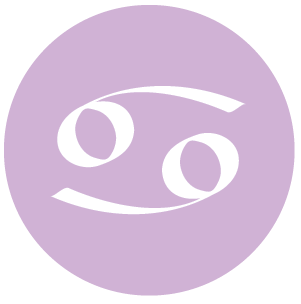 You may be connecting with people with whom you share common goals or interests, dear Libra, and expressing yourself comes especially easily right now, largely through positive body language and personal warmth. It’s natural to take on challenges and tackle problems with confidence today. People tend to boost your feelings of self-worth through their support. There can be some gentle competition – the kind that inspires you to do your best and to improve rather than the kind that grates on your nerves. Physical outlets for your energy and activities that keep you engaged and in motion can be especially appealing and satisfying now. 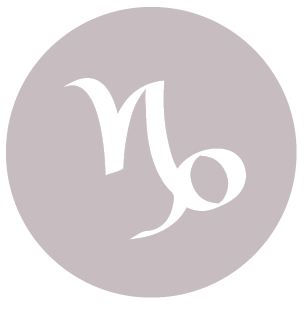 There is a lot of passion behind the scenes today, Scorpio. It’s a strong time for taking care of personal matters and for spending time with family, although you’re also fully comfortable standing alone today. You might find it rewarding to become engrossed in research, a book, movie, or anything that provides a positive escape. You are virtually fearless when it comes to tackling difficult, complicated, or sensitive topics, and can expertly solve a mystery or problem now. You may be attracted to physical activities that help heal, unblock, and loosen tension in the body. 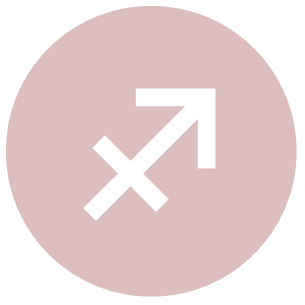 You can enjoy a good sense of timing today, Sagittarius, and a sense that you can assert yourself without causing waves or crossing boundaries. You may meet or interact with people who encourage or inspire you in some way to have more confidence in yourself. Others might draw you into activities that invigorate you, and cooperating with a team or partner may in fact be especially successful now, saving a lot of time and bringing pleasure to your life as well. When it comes to socializing, you have a rare ability to have both a soothing and invigorating effect on others. This is a strong time for releasing tension and actively enjoying life. 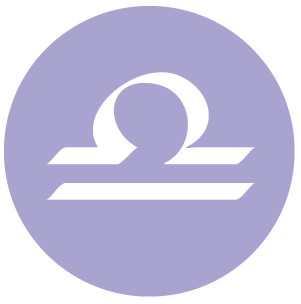 You can enjoy a good balance between dynamism and discipline today, Capricorn. You want to stay active and engaged, and you’re quick to take the initiative if a problem or challenge arises. The ability to focus, particularly on things that you might on another day avoid, is especially helpful. It’s easy to become engrossed in projects or activities today, and for the most part, others support you or stay out of the way so that distractions are few. It’s a good day for releasing tension through physical activity, massage, exercise, or other endeavors that help free the flow of energy in your body. 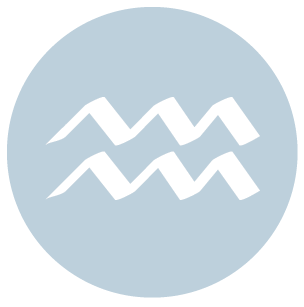 Natural confidence is with you today, dear Aquarius, and others especially enjoy your company or working with you. It can be a good time to make a new connection or to bond with someone you already know, particularly through activities and practical support. Family matters can thrive, particularly as you allow others to be themselves, offering them support or acceptance. You might find yourself in the position of role model, caregiver, mentor, or facilitator today. You might feel gently challenged today, and self-improvement efforts can be in strong focus, as you’re looking ahead and wanting to grow. 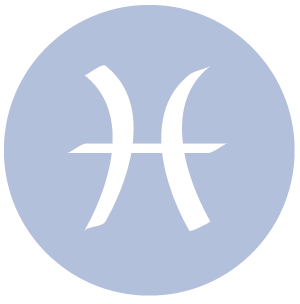 This is a powerful day for family or domestic activities and for enhancing bonds with others through shared goals, Pisces. It’s also a fine time for self-nurturing, and efforts to heal and renew yourself emotionally and physically are highly favored. Forgiveness is, in fact, a kindness to yourself, not just others. A practical approach to spiritual matters can appeal now. You might benefit from creating a dynamic domestic environment today through creative hobbies, cooking, gardening, organizing, and other such activities that keep you engaged and productive at once. 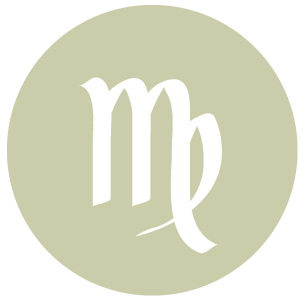 If Your Birthday is May 24th, If Today is Your Birthday full horoscope here. You may have difficulty in coming to terms with emotional wounds from the past. Psychotherapy may help. Sabian Symbol: Holly and mistletoe bring christmas spirit to a home. Sabian Symbol: A glass-bottomed boat drifts over undersea wonders. 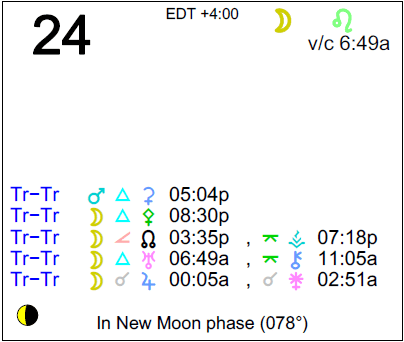 Sun 03° Taurus 00' 45"
Moon 23° Sagittarius 43' 47"
Mercury 08° Aries 14' 04"
Venus 03° Aries 22' 25"
Mars 15° Gemini 15' 55"
Neptune 17° Pisces 48' 00"